Williams grew up in Dayton OH where his father Harry was an architect. He graduated from Cornell in 1932 then taught at Columbia 1934 to 1938. Then Williams traveled through northern Europe and he met a Swedish woman who he would marry two years later. Upon returning to the US he worked in Raymond Loewy's office on projects for the 1939 New York World's Fair, and the Lord and Taylor department store in Manhasset NY in 1941, one of the first large suburban branches of a department store to be built. 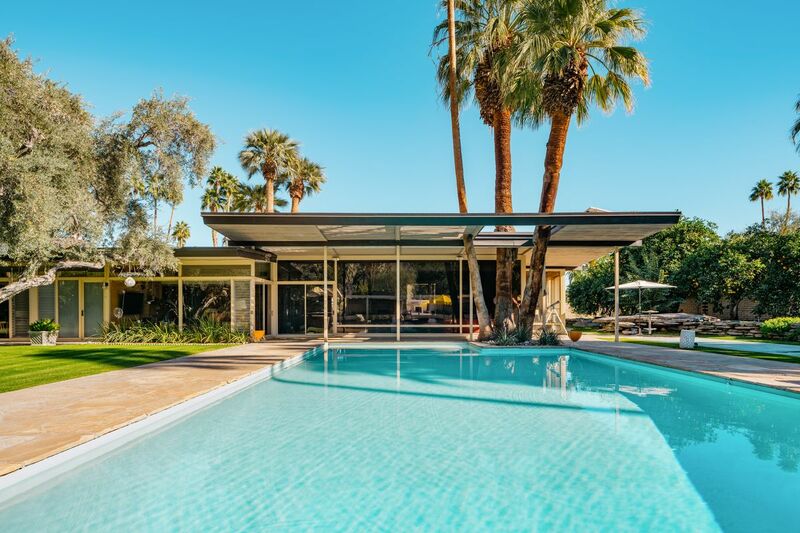 Around 1941 Stewart returned to Palm Springs to work for his father's architecture firm. 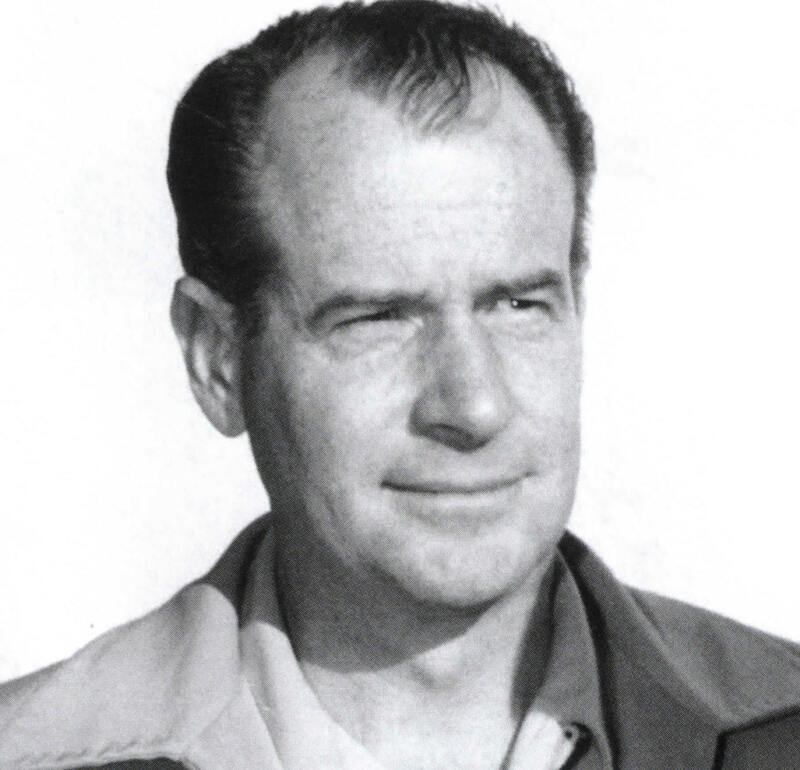 By 1943 Williams was involved in the building of ships at the Bechtel Marin County facility in Sausalito CA followed by a stint with the Navy. Williams is honored on the Palm Springs Walk of Stars. Bio adapted from Wikipedia. 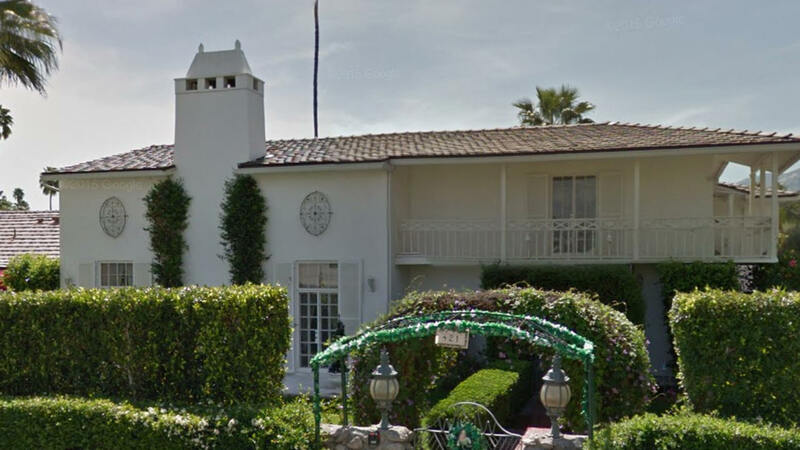 1947 - The Frank Sinatra House, aka Twin Palms, 1148 East Alejo Road, aka 1145 East Via Colusa, Palm Springs CA. 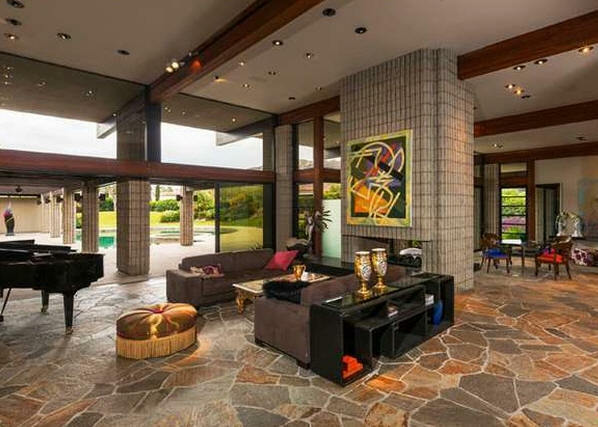 Built for Sinatra and first wife Nancy Barbato who divorced in 1948. Site of a famous fight between Sinatra and second wife Ava Gardner. 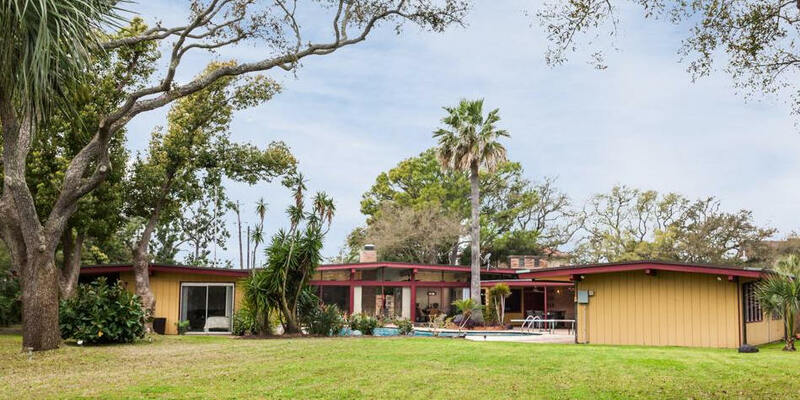 Sinatra moved out around 1956 and sold it around 1957 to a Texas couple who let it decline for 40 years. Sold in 1997 for only $135,000. Sold possibly twice more. Sold in 2009 to Thomas and Marianne O'Connell. BW photos by Julius Shulman. Available for tours and overnight rental. 1947 - The Marjorie Main Renovations, 276 Palo Verde Avenue, Palm Springs CA. Originally designed and built in 1931, not by Williams. Could also be plans for a new house; status unknown. Needs verification. Sold in 2008 to Troy Willams and Gino Dreese. 1949 - The O. J. Guidry House, probably unbuilt. Location unknown. 1951 - The Sam and Rose Maceo House, 43 Cedar Lawn, Galveston TX. Commissioned 1950. 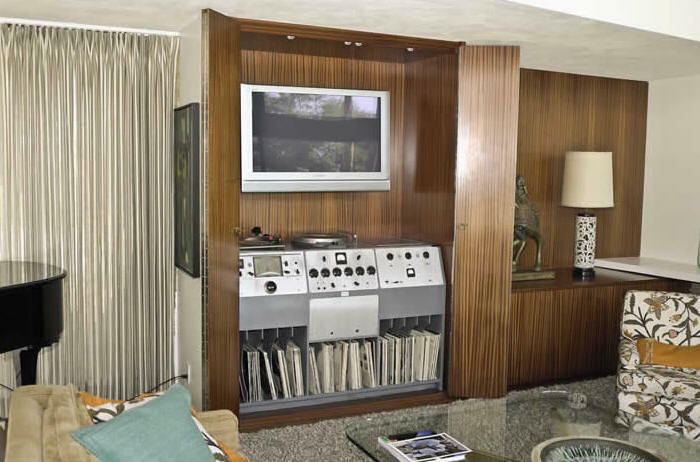 Sam Maceo liked the Sinatra house and wanted one like it. He died before moving in. His wife Rose stayed until 1954, when she remarried. 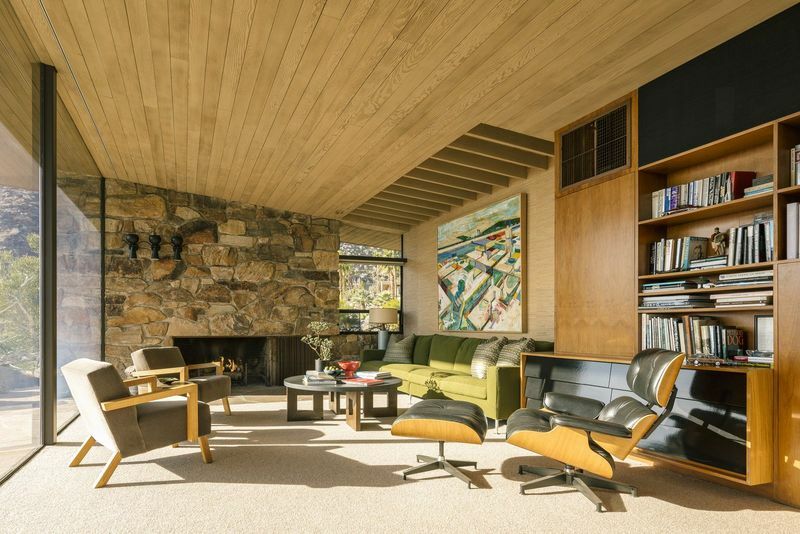 On the market until 1961 when it was vandalized, then sold to Jack Evans. Sold to Robert Moody, Rose Maceo's nephew. Sold to Bart Moore. Sold to William Nealon. Sold to James and Kimberly Penn. Listed on the National Register of Historic Places. Available for rental. 1951 - The Ralph and Nancy Chaffee Kiner House, 71279 Country Club Drive, Thunderbird Country Club, Rancho Mirage CA. 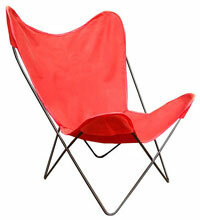 Sold in 2010 to Ken and Joanne Pfeifer. Has been severely remodeled. 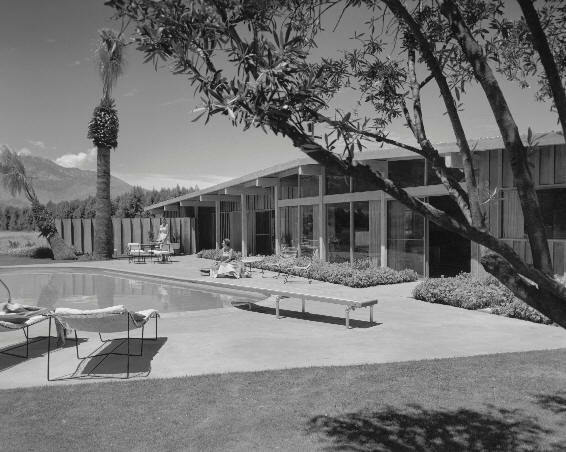 1951 - The Albert H. Weinert House, Smoke Tree Ranch, Palm Springs CA. 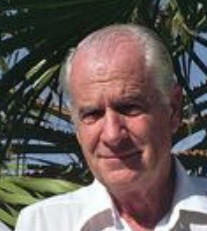 Weinert was President of the Board of Directors for Smoke Tree Ranch. Do you know where it is? 1952 - The H. J. Bligh House, 40257 Club View Drive, Thunderbird Country Club, Rancho Mirage CA. Next door to Cody's Jorgenson Residence. Photo by Julius Shulman. Sold to Loretta Nicastro. 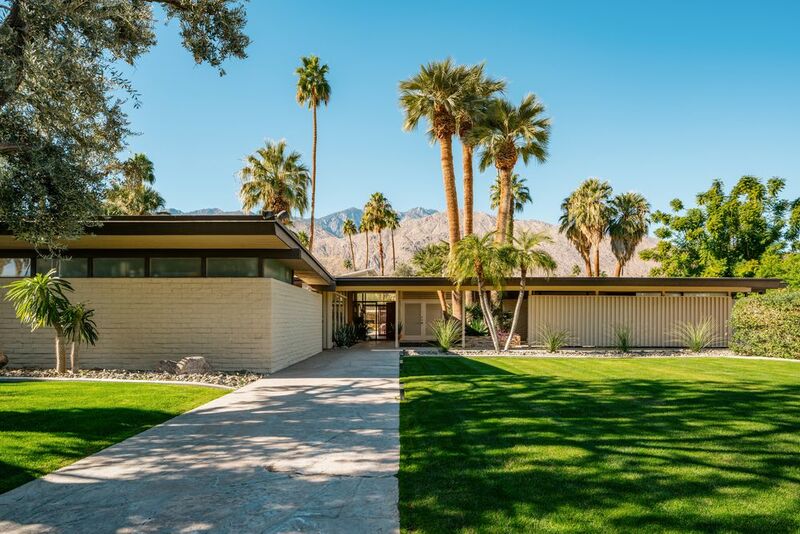 1953 - The William Edris House, Little Tuscany Estates, 1030 West Cielo Drive, Palm Springs CA. B/W photos by Julius Shulman. Sold in 2018 to Jon Roberts. 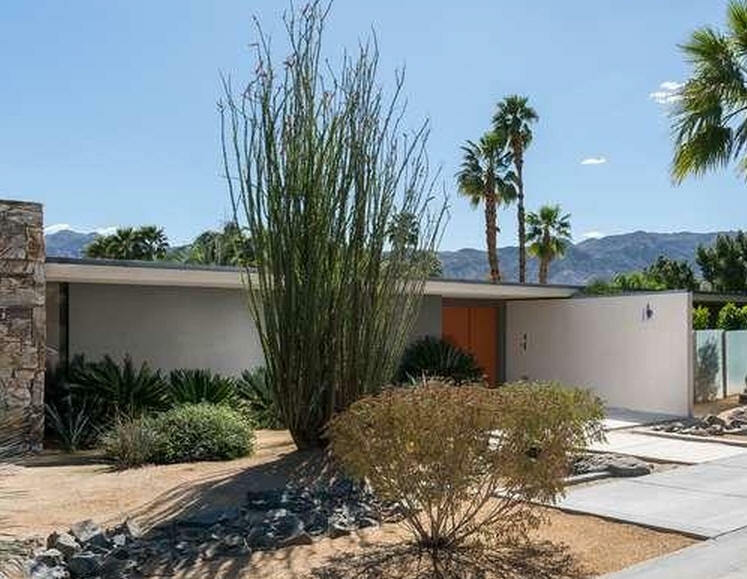 1954 - The Ernest Alschuler Remodel, 421 Santa Rosa Drive, Palm Springs CA. Needs verification. 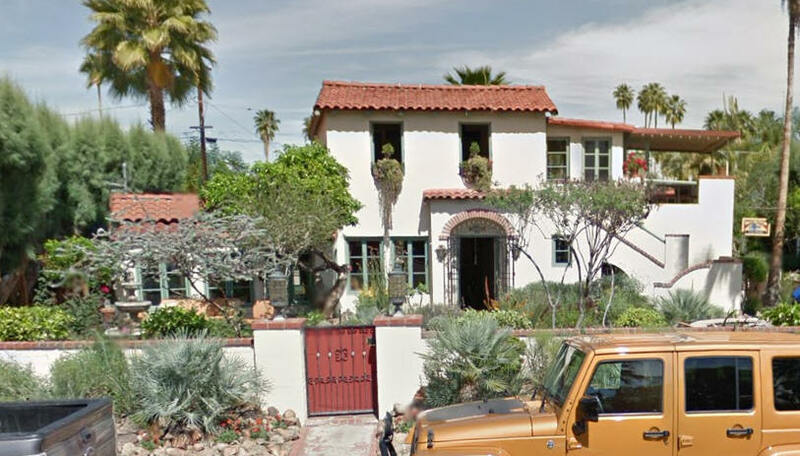 Original home built in 1939 for Katherine Romer, designed by F. Nelson Breed. Sold to Pamela Moffitt Green. 1955 - The Randolph Christie House, 40137 Sand Dune Road, Thunderbird Country Club, Rancho Mirage CA. On the 13th fairway of the golf course. Destroyed. 1955 - The Leon J. and Thea Koerner House, Deepwell Estates, 1275 West Calle de Maria (East Ocotillo Avenue), Palm Springs CA. Landscape design by Garrett Eckbo. Williams also designed an addition in 1973. Sold in 1997 to Henry and Allan Lamb. 1955 - The Ernest Geierman House, Laguna Beach CA. Unsure if built. Do you know where it is? 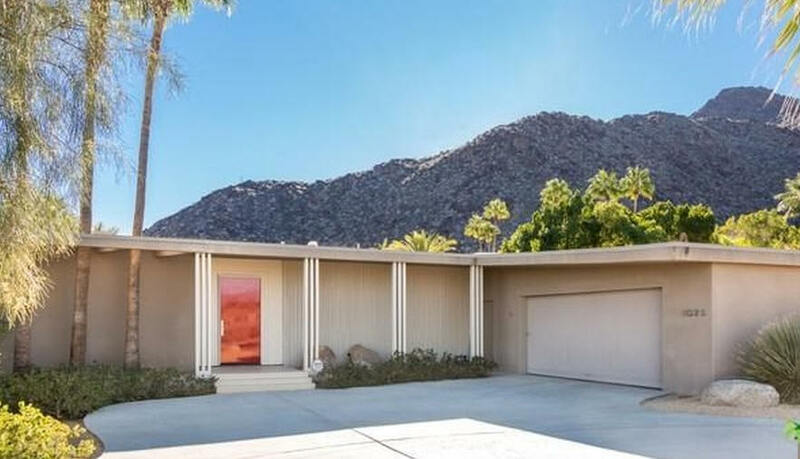 1956 - The E. Stewart and Mary Williams House, 1314 Culver Place, Palm Springs CA. Commissioned 1955. BW photo by Julius Shulman. Alterations in 1991. Sold to artist Dale Chihuly. Sold in 2002 to Mark E. Pollack. 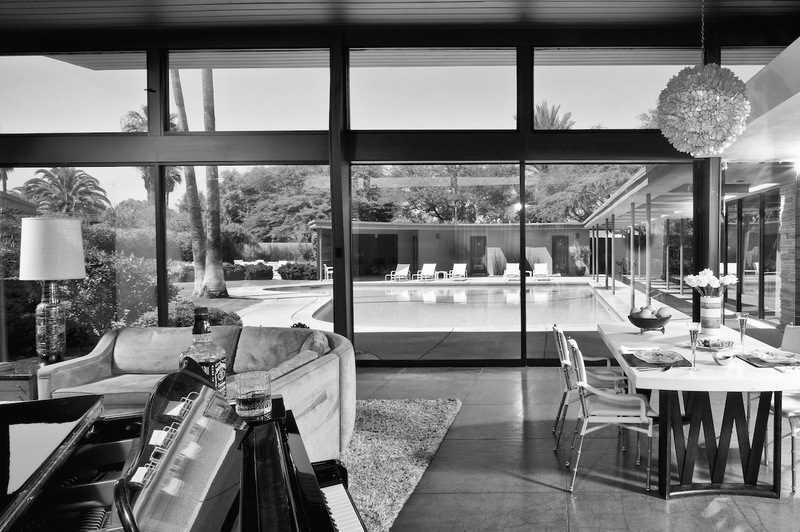 1956 - The Roderick Kenaston House, 39767 Desert Sun Drive, Rancho Mirage CA. Sold in 2007 to Daniel Ivascyn. Sold to Lisa Brownell. 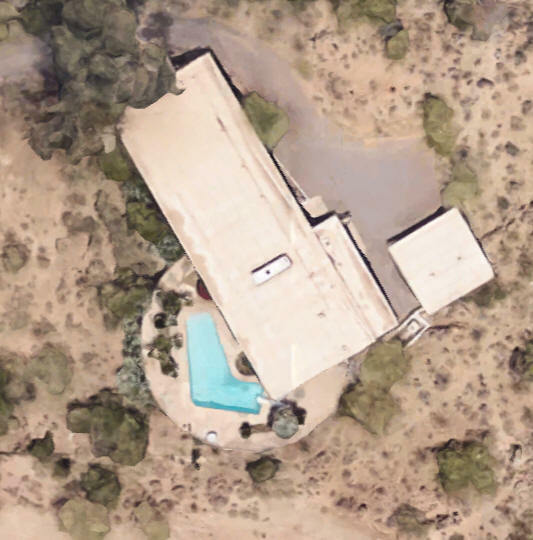 1957 - The H. E. Chiles, Jr. House, 7231 North Desert Fairways Drive, Paradise Valley AZ. Deeded to his daughter, head of the Ballard Family Trust. 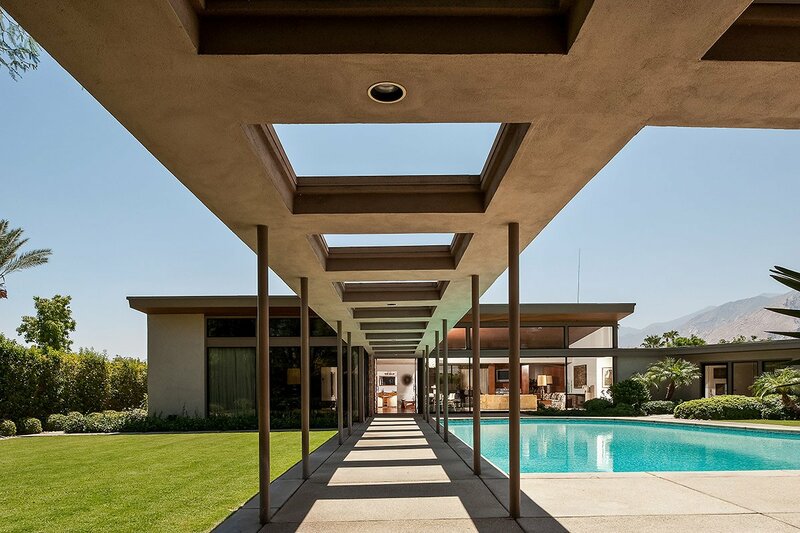 1957 - The John M. Scott House, Thunderbird Country Club, Rancho Mirage CA. 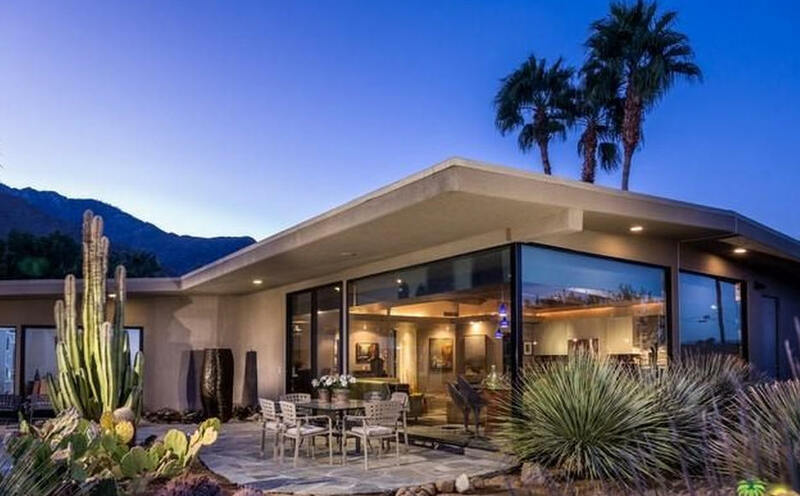 1958 - 1066 East Paseo El Mirador, Palm Springs CA. 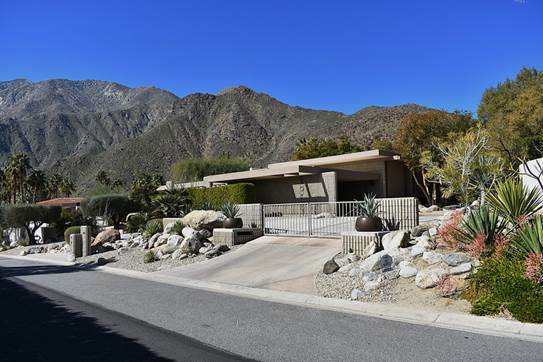 1960 - The Theodore and Marguerite Sutter House, Deep Well Ranch Estates, 1207 Calle de Maria, Palm Springs CA. Commissioned 1958. Interiors by Arthur Elrod. B/W photos by Julius Shulman. Sold to Brian John Schipper. 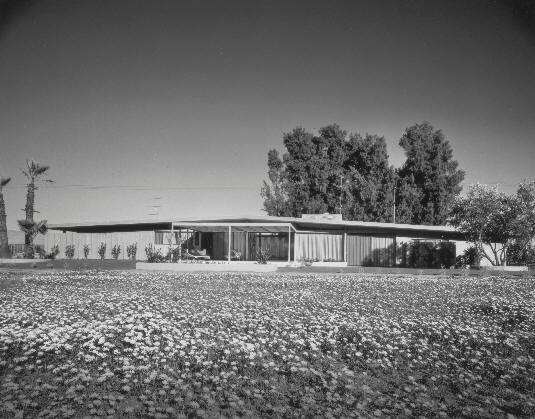 1962 - aka the Little Tuscany Addition, 1025 West Chino Canyon Road, Palm Springs CA. 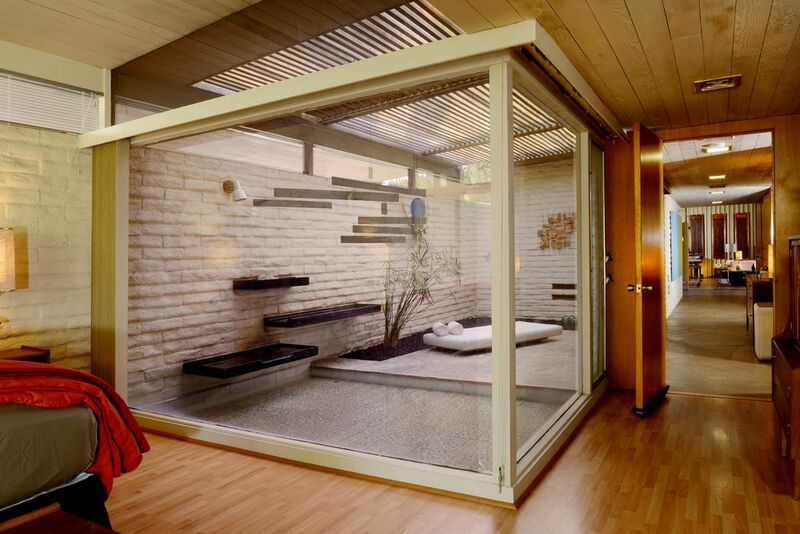 Original home designed in 1952 by A. C. Martin from Los Angeles. There were later remodels, not by Williams, and he dropped it from his project list. Sold in 2009 to James and Kathleen Youngren. Sold in 2016. 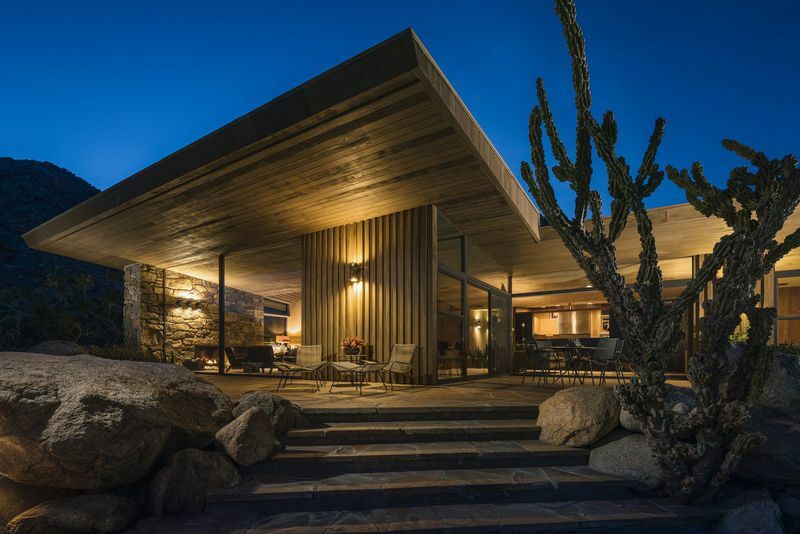 1964 - The Harold and Mary Hicks House, 860 Panorama Road, Palm Springs CA. Interiors by Arthur Elrod. 1965 - The Bob Hope House, Palm Springs CA. Unbuilt. John Lautner later got the commission, which was built. 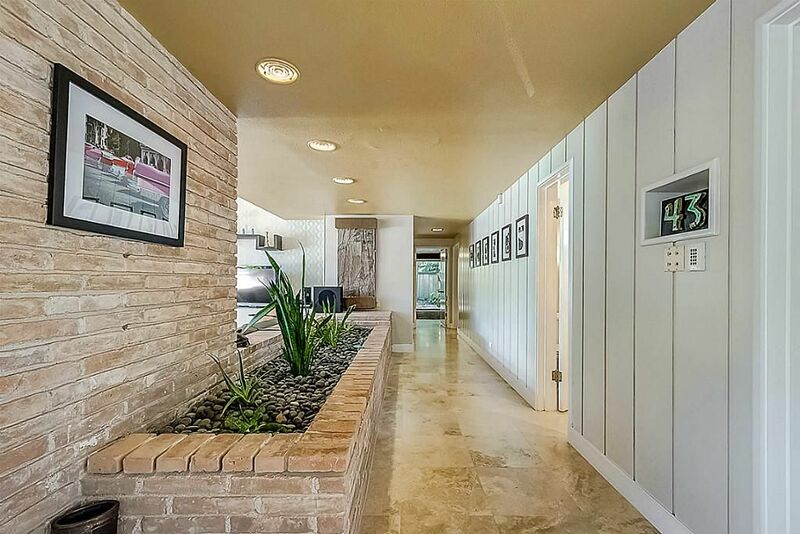 1966 - The Alma Walker House, 2433 Southridge Drive, Palm Springs CA. Unbuilt. 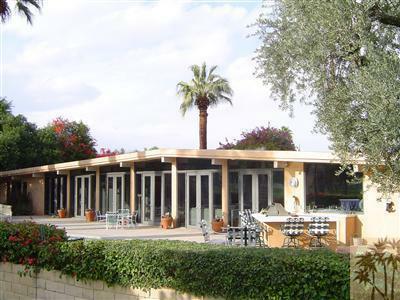 Article in the February 3, 1967 issue of the "Desert Sun" stated that the first shovel of dirt had been moved and Williams described the building as "a pavilion overlooking an 18' x 70' swimming pool, lined with olive trees through which a superb view of Mount San Jacinto could be admired." 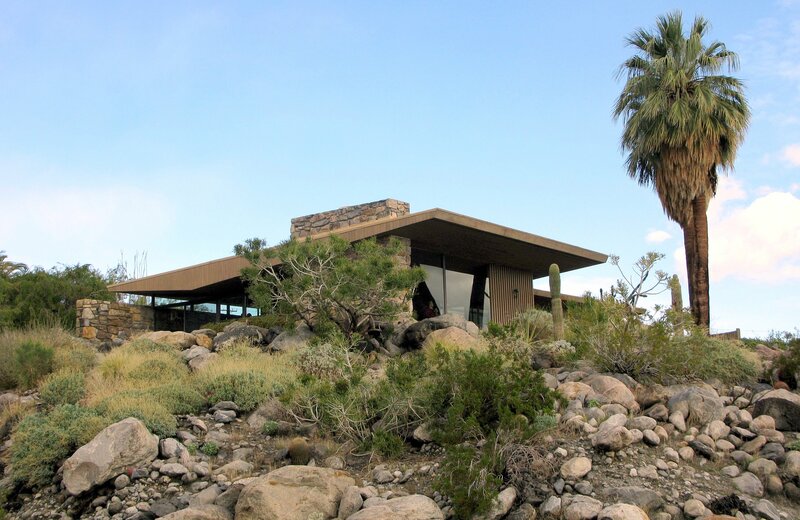 1967 - The Paul A. Schoellkopf, Jr. House, Smoke Tree Ranch, Palm Springs CA. Do you know where it is? 1970 - The Paul A. Schoellkopf, Jr. House, Buffalo NY. Do you know where it is? 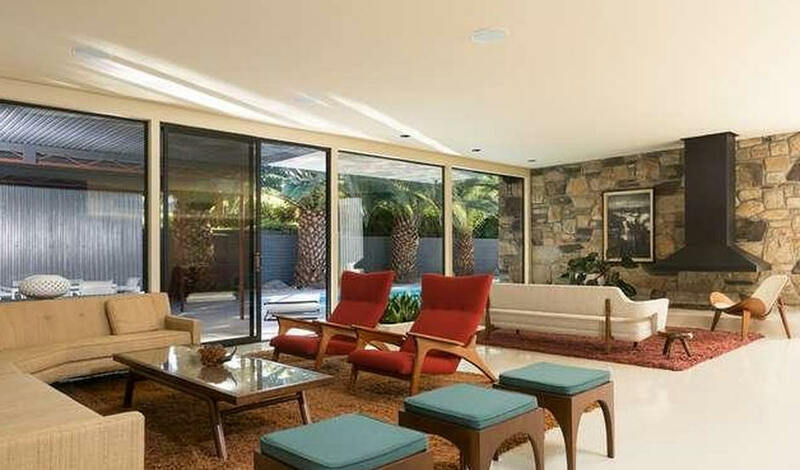 1971 - The William Holden House, 2433 Southridge Drive, Palm Springs CA. The actor purchased the Alma Walker property above with the plans. Unbuilt. In 1977 Holden built a house there designed by Hugh Kaptur. 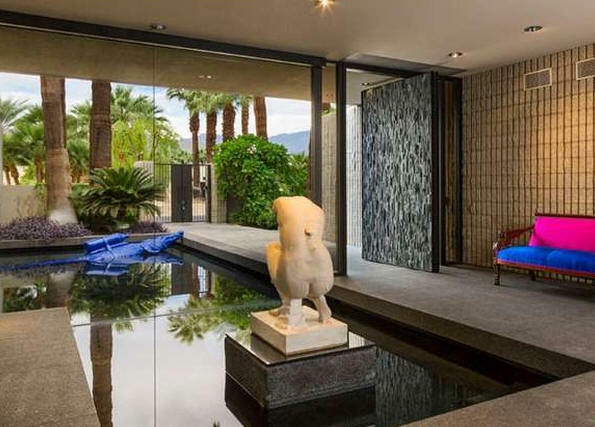 1977 - The Alan Leslie House, 1060 Cielo Drive, Little Tuscany, Palm Springs CA. Renovated in 2012 by Michael Johnston, who expanded the great room. Sold in 2013 to John Sherratt and David Howe. 1985 - The Erik and Sidney Williams House, Palm Vista Estates, 800 West Stevens Road, Palm Springs CA. Built for Williams' son and daughter-in-law. Williams did alterations in 1986. Sold in the early 1990's. Sold in 2011 to Lee David Clark. Top photo by Michael Locke. 1988 - The Adrian and Cass Graff-Radford House, 40380 Desert Creek Lane, Rancho Mirage CA. 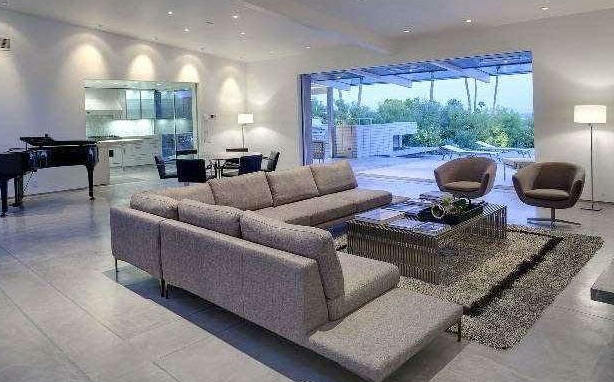 This was the last home Williams designed and the largest at just over 7400sf. Sold to Ann Morrison. Designer Mark Nichols did renovations including rehabilitating mechanical systems and lighting, removing the roof to install the solar system, and over-scaled furniture. Sold in 2015 to Diane Rubin and Lenny Eber. 1990 - The Linda Ragin and David Levine House, unknown location. Unbuilt. Sources include: Morris Newman, Melissa Riche, Catherine Westergaard Cramer.